As a parent, teacher, or guardian, of a child using the Linxus student development software, it is important to have quick access to the answers in each course so you can quickly respond to the student’s questions. 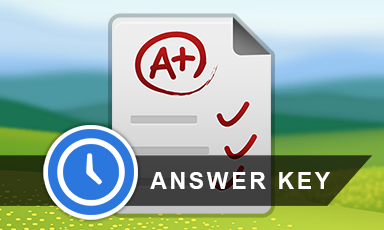 This answer key is a downloadable PDF file that can be used as a quick reference guide for answering pre- and post-test questions, assessments, and chapter test questions in the Time Management course. 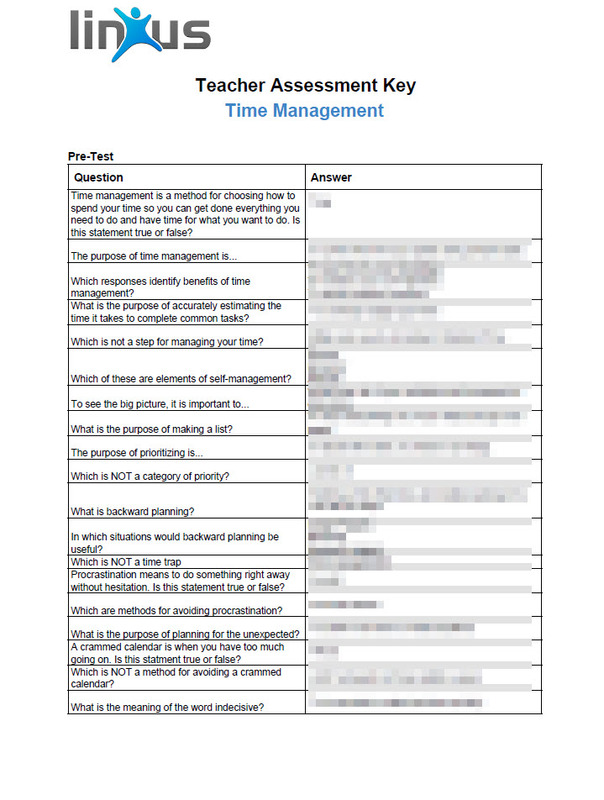 What’s included: Answers to all pre- and post-test questions, assessments, and chapter test questions in the Time Management course. Instructions: Once you have purchased the Answer Key, you will receive a downloadable link in your email. Simply click and save the file to your computer. All rights reserved. No part of this publication may be reproduced, distributed, or transmitted in any form or by any means, including photocopying, recording, or other electronic or mechanical methods, without the prior written permission of the publisher, except in the case of brief quotations embodied in critical reviews and certain other noncommercial uses permitted by copyright law. For permission requests, write to the publisher, Möbius Learning, addressed “Attention: Permissions Coordinator,” with the contact form here.